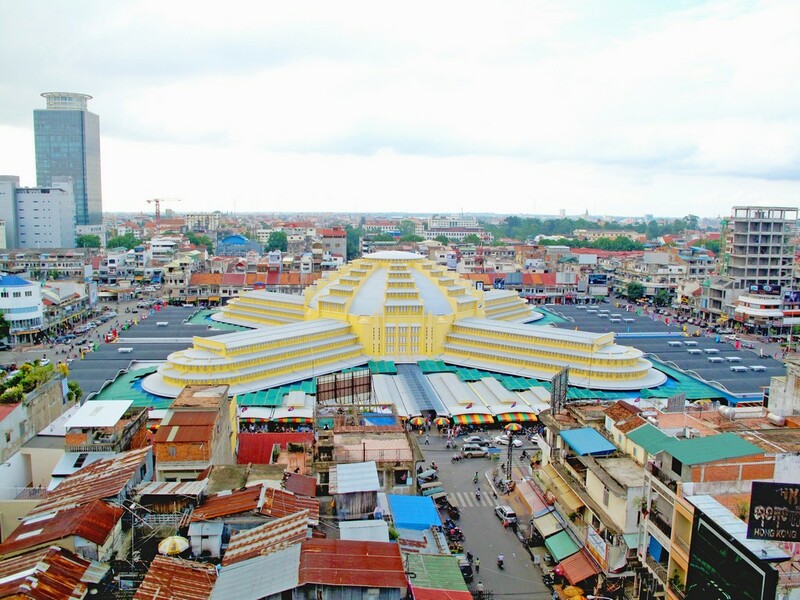 Take a half day Phnom Penh cyclo tour by hopping on the most popular mean of transport in Southeast Asia, see the old streets & historical monuments. This is a comfortable way to see the city sights. 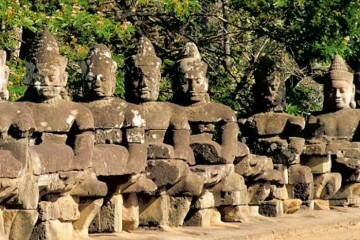 You start at Wat Phnom, symbol of the city, before heading west past the National Library and Hotel Le Royal. 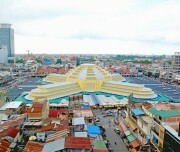 Pass Phnom Penh train station before winding your way down to Psar Thmei, the leading market in the city. Then snake through some of the smaller back streets, including 178 St, brimming with art shops, and Bohemian 240 St with its cafes and boutiques. 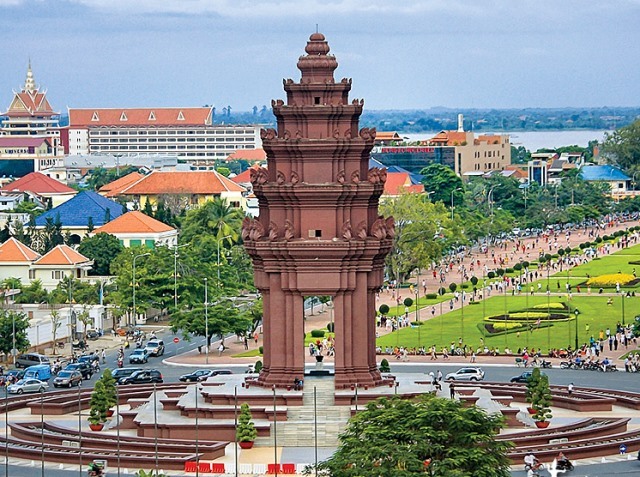 Your Phnom Penh tour passes Independence Monument, modeled on the central tower of Angkor Wat and continues to the elegant riverfront. 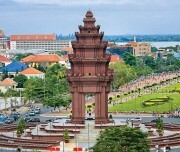 Pass the glittering Royal Palace compound and the stunning National Museum before ending up at the riverfront, where there are dozens of cafes, bars and eateries to enjoy some refreshments. 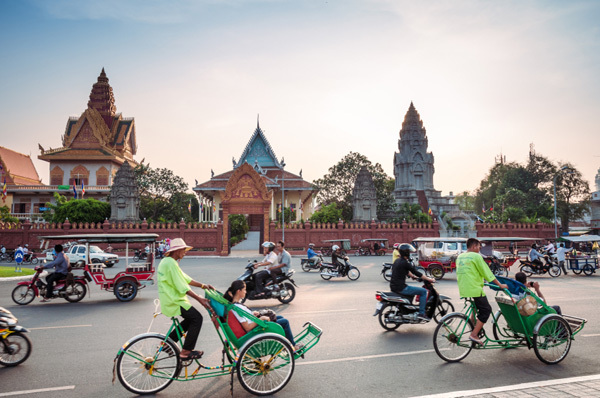 Set off in the morning by “cyclo”, a traditional Khmer bicycle rickshaw, on a leisurely wander towards central Phnom Penh’s best architecture. Follow narrow side streets and bustling alleys toward a selection of well-known public and private buildings with incredible stories and even more impressive historical facades. 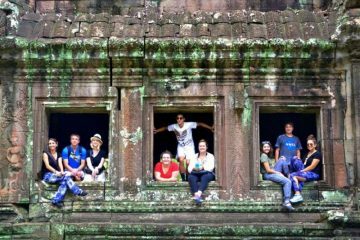 Learn about the history of Cambodia’s capital city alongside your architect or architecture student guide while they weave the tale of Phnom Penh’s torrid history and its impact on its built beauty. Get a chance to hop off of your cyclo to explore some of the city’s smaller alleyways by foot along the way.Head out to the outskirts of the city. Arrival at a nearby dock and a private fisherman’s boat. Embark and set sail toward the rustic shores and sandy beaches of Koh Tonsay, or Rabbit Island, just 4.5 kilometres off the southern coast of Cambodia. Spend the afternoon lounging on Koh Tonsay’s pristine and quiet shores, wander through the blissfully undeveloped forests or dive into the clear waters for some midday snorkeling. 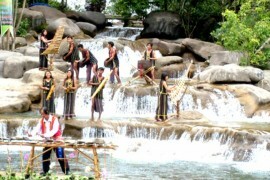 Afterwards, enjoy a personal BBQ feast of fresh seafood prepared by your guide. Tour end at your hotel around 3:00pm.